Latch Cottage0789 502 8141 work Self-cateringBeautiful carrstone cottage in idyllic village with all amenities. A wealth of traditional features, log burner, luxury kitchen and all facilities. & comforts provided, broadband and BBQ. Conveniently situated for coast, birdwatching, rambling, cycling & country pursuits. Sleeps 5, non-smoking, children over 7 welcome, private parking, and walled garden. Please note pets by appointment only. Short breaks comprise, Friday, Saturday, Sunday leaving Monday morning, or Monday to Friday, leaving us Friday morning. 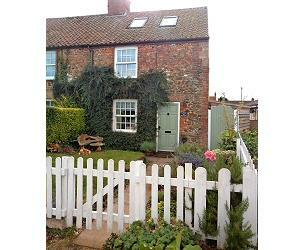 Beautiful carrstone cottage in idyllic village with all amenities. A wealth of traditional features, log burner, luxury kitchen and all facilities. & comforts provided, broadband and BBQ. Conveniently situated for coast, birdwatching, rambling, cycling & country pursuits. Sleeps 5, non-smoking, children over 7 welcome, private parking, and walled garden. Please note pets by appointment only. They are not normally offered at peak season, but we do occasionally have gaps so please ask, and we will check availability.